*Please read affiliate disclosure below. Are you wondering, what are the advantages of investing in bonds? Maybe you’re curious as to whether there are bond robo-advisors. If so, then IncomeClub might provide your bond investing solution. In this IncomeClub review, you’ll find out the answer to, ‘What are bonds?’ and ‘Why to invest in bonds?’ You’ll discover the differences between individual bonds and bond funds. Without investing a dime, you’ll understand how IncomeClub works as well as the bond robo-advisor’s advantages and disadvantages. IncomeClub Answers – Why Invest in Bonds? Buy a bond and you’re loaning money to the issuing company for a certain time period at a predetermined interest rate. When you buy a General Electric bond you’re confident that GE isn’t going out of business and you’ll get a regular interest check and the principal amount returned at maturity. Learn about why to buy a bond from IncomeClub. Sounds like a clear-cut way to gain cash flow and offset the volatility of your stock investments. You get the full amount of your investment back at maturity. Buy a 5-year bond for $1,000 with a interest payment of 2.5%. You earn a $12.50 interest payment semi-annually and after 5 years your $1,000 is returned. In a diversified investment portfolio, bonds offset the volatility of stock prices. When the stock market drops, your bond prices might go up or hold steady. As interest rates increase, so will the interest rates on newly issued bonds. Bonds provide a reliable income stream. 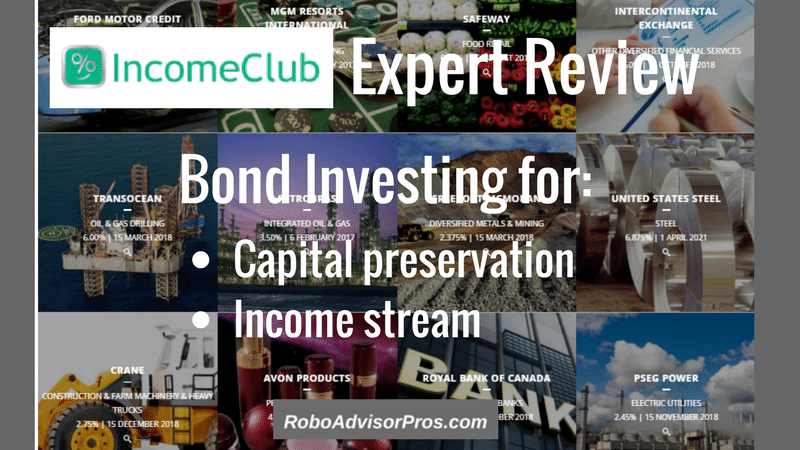 Why do you need IncomeClub – Bond Robo-Advisor for Fixed Income Investing? “Unlike bond funds, individual bonds are immunized from the market volatility while the bonds are held to maturity.~ IncomeClub website. Bond investing is complicated. When interest rates increase, the value of your bond, or bond fund will decline. That’s not a big problem when holding individual bonds to maturity, as you get the full principal investment back at this point. But managing multiple bond investments can be complex and to remain diversified, you need a large investment. To create a diversified bond portfolio, you’ll need $25,000 or more. Many bonds require a $5,000 minimum investment amount and you’ll need to buy several bonds so if one defaults, there are others to offset the loss. To get greater bond diversification you could invest in a bond fund. Yet, bond fund management fees range from 0.15% up to 0.65% and in most cases, it’s difficult to target a specific maturity date for your bond fund. So, if you need your money in 8 years, in a rising interest rate environment, it’s likely the principal investment amount invested in the bond fund will be lower in the future, when you withdraw your funds. IncomeClub’s low management fees, between 0.20 and 0.25%, along with the opportunity to target your bond’s maturity dates make IncomeClub an affordable alternative to typical bond funds. You want to invest in individual bonds, but don’t want the hassle of managing the bond portfolio. You’re interested in individual bond investing, but don’t have enough money to fund a diversified portfolio. You’re looking for a steady income stream. You want to protect your existing capital. You want a method to capitalize on the income from rising interest rates, without losing your principal bond investment amount. You want low management fees. You want a bond ladder, without the work of creating it. To test drive the platform, I went through the IncomeClub onboarding. I appreciate that you can go through the entire signup and receive a personalized bond portfolio, without funding the account. Here’s the IncomeClub questionnaire with my responses. Fortunately, you can always change your responses later. I said that I needed the funds in 2028, or approximately 10 years from now. This question is very important because IncomeClub buys bonds that ensure that in 10 years, you’ll be able to withdraw your entire investment amount in full. Unlike investing in a bond fund, if you invest $5,000 today, there’s no assurance that in 10 years, the fund will be worth $5,000. This question is designed to determine your comfort with risk. I’m comfortable with higher risk bond investing thus I indicated that I don’t need the safest investment. I indicated, “No strong opinion”. This is another question to determine my risk comfort level. My answer suggests a moderate risk comfort level. That’s it for the questions, and then I receive the sample bond portfolio. Given the moderate risk level and 10-year time horizon, the bond portfolio would yield 2.77% annualized return, significantly more than if you kept that money in a savings account. IncomeClub clearly illustrates the individual bonds, maturity dates and coupon rates selected for the account. The individual bonds have a variety of maturity dates, with an average weighted maturity of 3 years. The portfolio is designed to include bonds that will return the principal payment amount by 2028 and fit in with my specific risk level. The portfolio includes 12 bonds that yield an average annualized return of 2.77%. Should interest rates rise, the average return will rise as maturing bonds are replaced with higher yielding issues. The final screen lists the bonds in your proposed portfolio including the value and yield to maturity. It’s a plus to receive this much color on the proposed bond portfolio, without opening an account. Click to find out what your IncomeClub bond portfolio would look like. 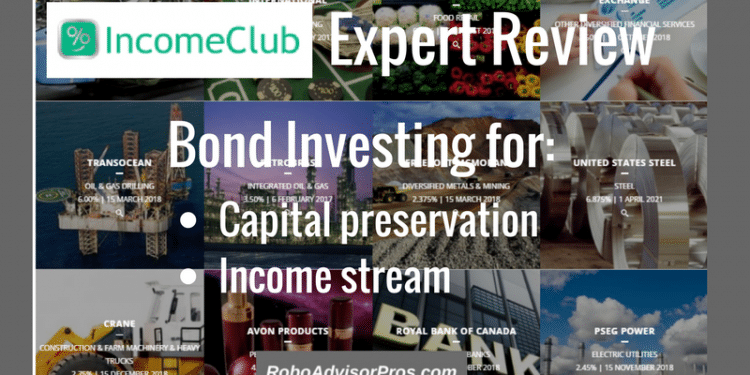 What Type of Accounts Are Available at Bond Robo-Advisor IncomeClub? IncomeClub offers a range of individual, joint, corporate and retirement accounts. Actually, I’m considering opening an IncomeClub SEP IRA for my business. What Are IncomeClub’s Fees and Account Minimums? As anyone who’s bought individual bonds understands, commissions for bond buying can be opaque and expensive. IncomeClub does a good job laying out their fee structure. IncomeClub’s account minimum is $5,000. A differentiating feature from other robo-advisors is that accounts are available to residents of all countries except those countries prohibited by the U.S. Office of Foreign Assets Control and those where a regulator requires investment advisory registration. There are no management fees for accounts valued at less than $20,000. IncomeClub manages your account through Interactive Brokers, a low-cost online broker. Interactive Brokers commission fees are based on volume and range from 0.10% for bonds with face value below $10,000 and 0.025% for bonds with a face value above $10,000. Additional fee information is prominently available on the IncomeClub website. In comparison with bond funds, the IncomeClub’s fees are quite reasonable. When incorporating the IncomeClub fees with the Interactive brokerage charges, you’ll expect to pay 0.15% to 0.65% of AUM. You’ll also have the benefit of building your own individually managed bond portfolio. Bond exchange traded funds have the lowest fees of all bond funds, whereas actively traded bond funds and mutual bond funds levy higher management fees. Here’s how the IncomeClub fees match up with several bond fund fees. You might find lower fee bond index ETFs. IncomeClub states, their management fee of 0.20% to 0.25% is lower than 0.99% of average advisor’s fee-based accounts, according to a Pricemetrix survey. IncomeClub’s partnership with Interactive Brokers ensures that your funds are held with a well-regarded third party custodian, in accordance with SEC rules. Your money is segregated and not used for any additional purposes. Your account is protected by the Securities Investor Protection Corporation (SIPC) insurance for up to $500,000. This does not protect your money from the normal fluctuations in value due to investing in the financial markets. IncomeClub adds another layer of protection from Lloyd’s of London, for protection against failure of the broker-dealer. Interest rates are trending upwards. That means bond funds value will decline. IncomeClub’s bond robo-advisor offers a way to protect your fixed income portfolio’s principal value through buying individual bonds. The website transparency is outstanding. All fee, service and additional questions are answered on the site. The security is superb with a well-regarded custodian and another layer of insurance by Lloyd’s of London. It’s easy to adjust your risk level and time horizon, which will ultimately influence your future returns. The management fees are reasonable, for the service. If you’re comparing IncomeClub with setting up your own bond portfolio, then you’ll avoid the ongoing management fees by managing your own bond fund. 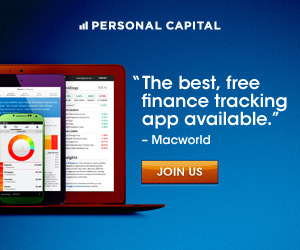 If you’re seeking a human financial advisor, this is not the best platform for you. If you prefer having one robo-advisor for all of your investing – stocks and bonds – then IncomeClub isn’t your best choice. The IncomeClub Referral Program allows you to lower your annual advisory fee. Invite your contacts and IncomeClub waives fees for three months for both you and your referrals when they fund an account. If you have a wide circle of contacts, this is a sweet offer. If you’re seeking control of the fixed portion of your investment account, but don’t want to micro-manage your bond holdings, IncomeClub’s bond robo-advisor solution is tough to beat. The low 0.20% to 0.25 management fee is reasonable for the control the platform offers. Frankly, I had a tough time coming up with the IncomeClub Disadvantages section. Curious about IncomeClub? Check it out, no obligation. Disclosure: Please note that this article may contain affiliate links which means that – at zero cost to you – I might earn a commission if you sign up or buy through the affiliate link. That said, I never recommend anything I don’t believe is valuable.